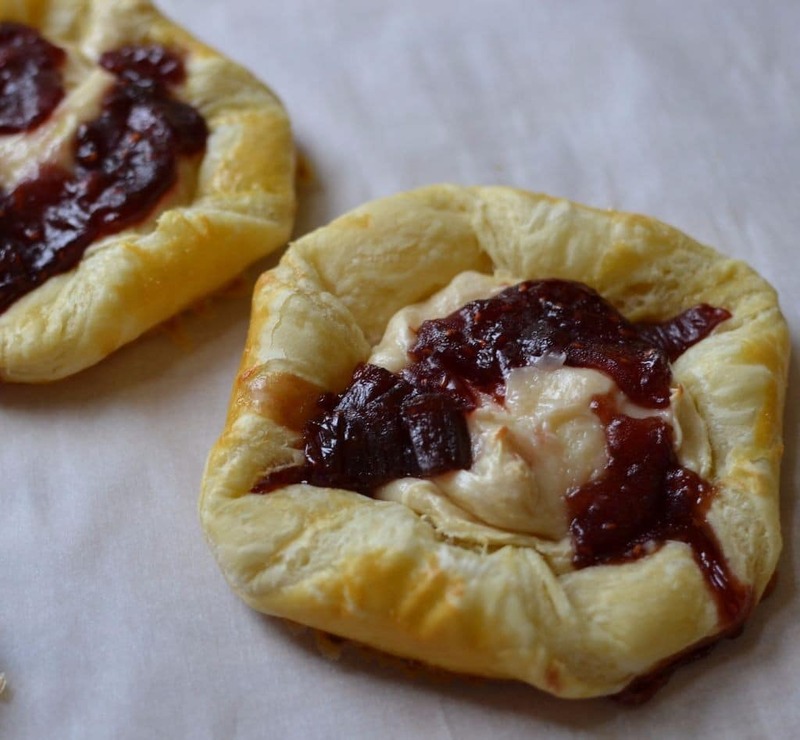 Making fresh pastry is super simple with frozen pastry puff. You don’t have to be a pastry chef to master this. Anyone can do it! 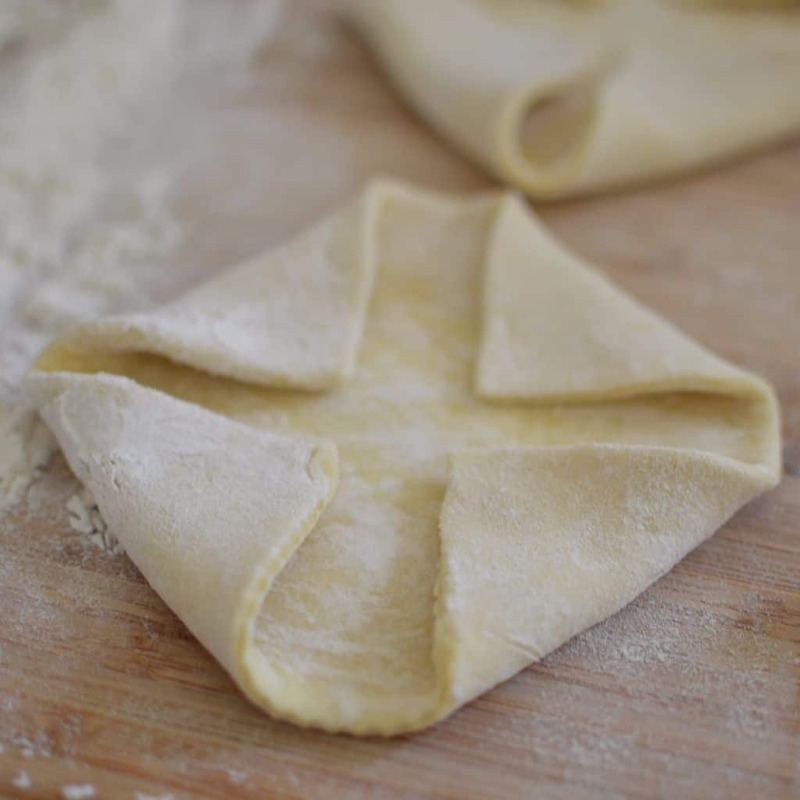 Just give that old pastry dough a roll out! Give the corners a special roll back! A real special one! 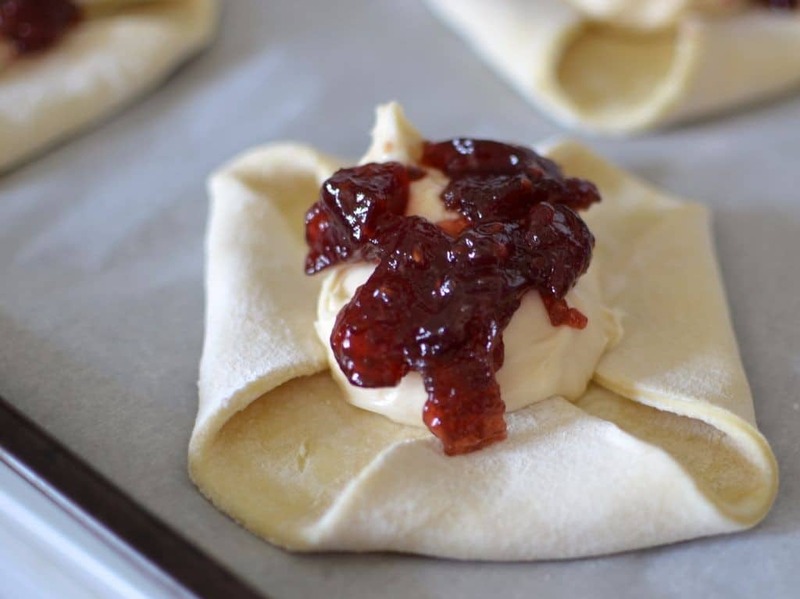 Add the cream cheese mixture and a tablespoon of your favorite jam and you are almost ready for fresh pastries! See what I mean? These are beautiful delectable treats right in the confines of your own home! No bakery necessary!!!! In stand mixer beat cream cheese and sugar until smooth and creamy. Add vanilla and mix until combined. 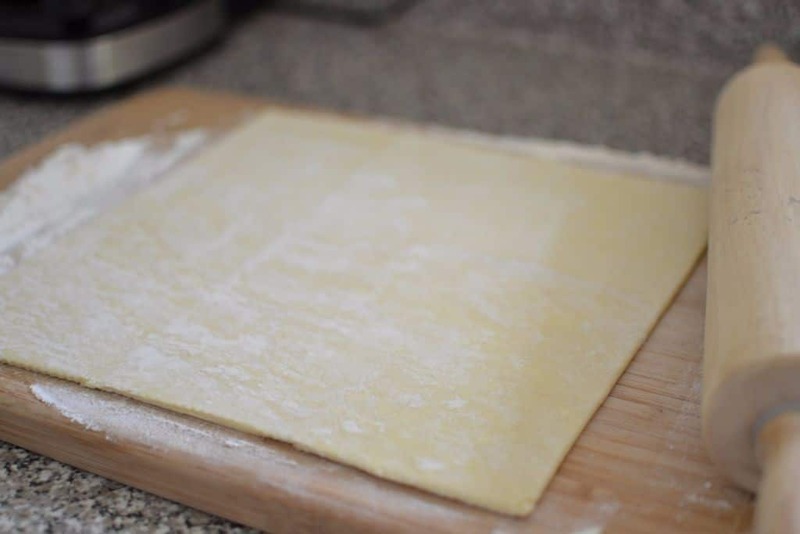 Roll out pastry dough just enough to remove creases and form a square Cut dough into 4 equal squares. Fold in each corner towards the center. Add cream cheese mixture to the center of each pastry; dividing evenly. Add 1 tablespoon of jam to the top dropping it intermittently and messy. Beat egg & water together in small bowl. Using pastry brush apply wash to the dough of each pastry. 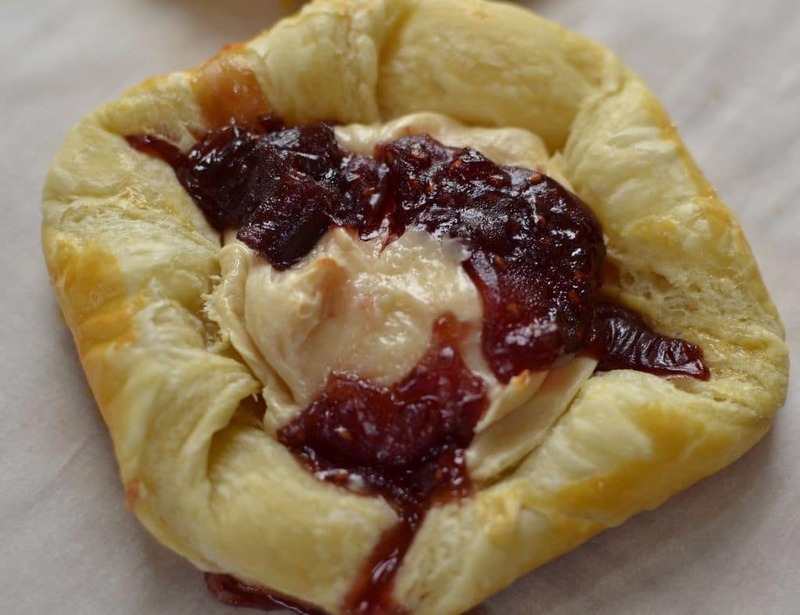 Place pastries on cookie sheet covered with parchment paper and bake pastries for 25 minutes or until golden brown. Yes, I think I can do that. My Grammy used to do something like this with apple butter and sweetened cottage cheese before we had refrigerators. I just remember layers and layers with fresh butter between. Sounds delicious! Your Grammy must be a wonderful cook. Perhaps you can try to recreate her recipe. What fun that would be! !